For its fourth annual Immigration Awareness Week, UC Santa Barbara hosted a variety of workshops, speeches and activities focused on the immigrant experience. The week of Jan. 21 – 25 consisted of three main events, each of which highlighted one facet of the intersectionality of immigration. The week in its entirety was organized by several organizations, including UCSB’s Undocumented Student Services (USS), the Educational Opportunity Program (EOP), the Multicultural Center (MCC), UCSB’s Improving Dreams, Equality Access and Success (I.D.E.A.S.) and the Resource Center for Sexual & Gender Diversity (RCSGD). The week kicked off with an event in the MCC lounge on Jan. 23: “Making ‘Ally’ a Verb: Supporting Undocumented Students.” The event – centered on allyship with the greater immigrant community – encouraged attendants to immerse themselves in the stories of undocumented immigrants and take note of various resources provided for UCSB students, such as the Undocumented Student Services Support Network. “It can be seen as an opportunity for folks. There could be some hesitation. That hesitation could be coming from different places, but to see these types of events is an opportunity to learn more about immigrant experiences,” Diana Ordorica, UCSB’s USS coordinator, said. The allyship-based event encouraged attendees to put up posters supporting undocumented students in their workspaces, rooms or social media pages. “In the past we’ve had presentations to update folks about what’s going on with immigration. We’ve had trainings for staff, faculty and graduate students,” Ordorica said. This training-oriented experience pursued in the past was once again employed during this year’s Immigration Awareness Week through the second major event of the annual occasion. On Jan. 24, a workshop in the Student Resource Building, titled “UndocuQueer and UndocuTrans Safe Zone Training,” promoted a holistic approach to supporting queer and transgender undocumented students. It was open to graduate students, faculty and staff. While partially informational, the workshop also contributed to the visibility of LGBTQIA+ immigrant students through the sharing of stories and experiences from individuals well-acquainted with the struggles of the queer immigration experience. With this sentiment in mind, the “UndocuQueer and UndocuTrans” training session featured guest speakers who gave attendees descriptions of firsthand experiences from undocumented, LGBTQIA+ individuals. “As progressive as a school UCSB is, I think folks have a lot of presumptions about communities that they’re unfamiliar with, so this is an opportunity for those who are allies to make themselves more well-known for those who aren’t as educated or as well-knowledged about the subject to finally get that kind of information,” Mosbey said. To conclude Immigration Awareness Week, an open house for UCSB’s Immigration Legal Services was held on Jan. 25 to further highlight the resources available to undocumented immigrant students. The open house, held in the Annex, offered advice from Managing Attorney Vivek Mittal, Attorney Ron Perry and other advisors who make up the Immigration Legal team at UCSB. “This week is shining the spotlight for a moment, but it’s — more than anything — igniting a movement to continue on through this year,” Mosbey said. 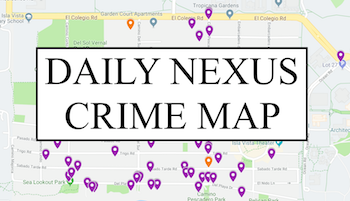 A version of this article appeared on p. 6 of the Jan. 31, 2019 edition of the Daily Nexus. 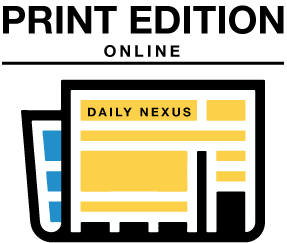 Nyah Scott is a reporter at the Daily Nexus and can be reached at news@daliynexus.com. isn’t it wonderful that students can pick and choose which federal laws to obey. isn’t it wonderful that brainless individuals like you are still given the right to speak. 1976 UCSB grad here. Neighbor was kidnapped and murdered by illegal alien from Mexico, who had previously been in jail in a sanctuary city. And yes, UCSB students do choose to ignore federal regulations that THEY don’t like. Ah yes, name-calling, the true sign of an intellectual. 100% of illegals are criminals. and 100% of your comment is pure ignorance. UndocuQueer and UndocuTrans are good but UndocuDeported is even better. To anyone who is reading the comments and are undocumented, please know that you have a community who will stand with you and support you. Please know that you are loved. Please know that you are AMAZING! Do not allow these awful comments to upset you, as they are most likely said by privileged people who will never face your struggle and never know the fear it is to be an undocumented student here. My family entered legally. For 5 years I only saw my father one weekend a month, until he could legally bring the rest of the family into the US. And my ears grate whenever I hear the backwoods “Spanish” I run into daily from the illegals. Dear campus liberals, if you ever wonder why most people off campus think you’re crazy, this is why. Well thought through and rationally compelling argument. You must be exhausted by the effort on display here. Keep up the (sadly typical) work. Don’t worry about undocu-guy. On this campus we shout down anyone with whom we disagreed.